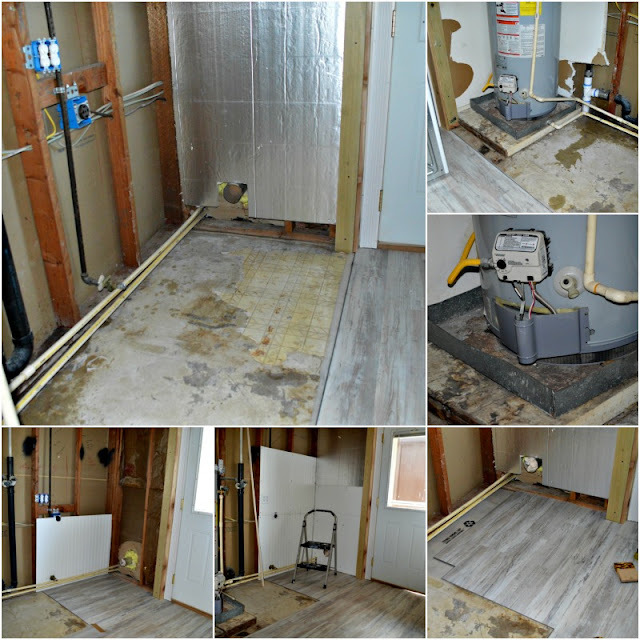 When we decided to come here and take on this project it was supposed to be some paint, a little remodel and updating and A LOT of sweat labor for a couple months. We were told the carpet was salvageable and the appliances worked. NONE of which was actually true. Unfortunately it took us almost 10 weeks of cleaning out the trash and donations to even be able to properly assess the situation. Had we been told the REAL story with the condition of this house we would NEVER have come here! Now, we just can't wait to be done!! Day 253 and we just pray we will be done by day 365 with this nightmare. This week is about FINALLY bringing the laundry area into the 21st century and up to code. When we arrived the laundry area contained my grandmother's OLD washing machine, an almost as old dryer that was not vented to the outside despite an opening cut through the wall, and a fairly new water heater that had been installed NOT UP TO CODE on top of the original base that was now rotting through and home to all sorts of critters. First of all I'm quite appalled that SEARS would install something so poorly and wary of ever using them in the future. Above is the before pictures AFTER we cleaned out all the crap short of the actual base and wall behind it. We were able to get the actual floor for the water closet portion laid down and the insulation for the outside wall and the inside closet walls. Above is AFTER our "normally"wonderful plumbers were here, but before we installed the interior walls, ceiling, light and the cabinet above the washer and dryer. I did get the cabinet stained to match the kitchen cabinets over the weekend. We did get the remaining floor laid after they left for the day. elbow and long enough gas line so the line doesn't cut through the middle of the broom closet. Elbows and NEW PVC so the discharge line for the pan hugs the pan and wall and doesn't prevent the door from closing as it does today. 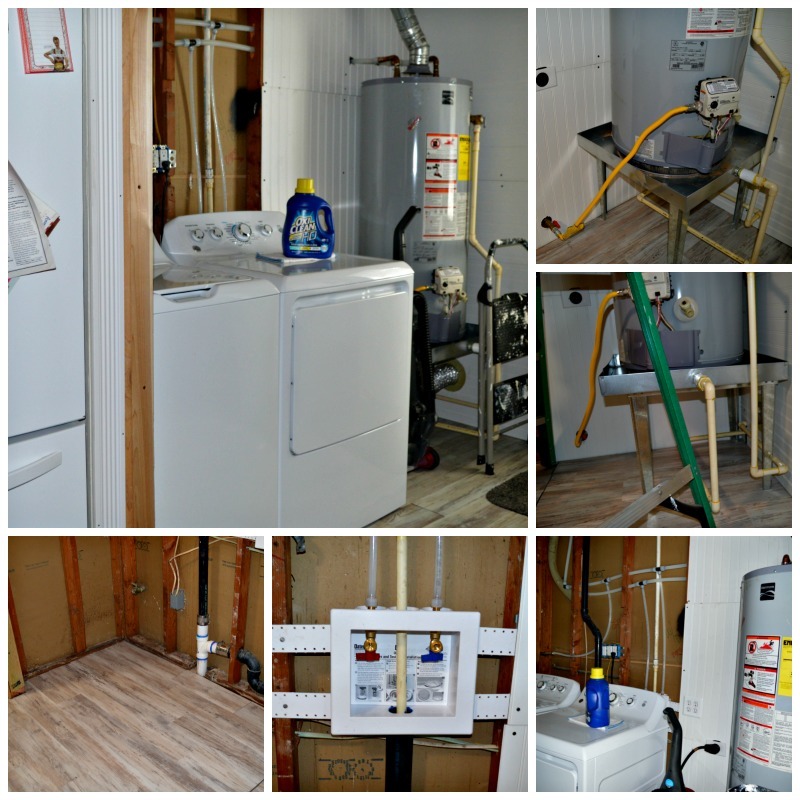 On Friday we will be putting the washer and dryer on "SLIDERS" also and starting to work on the walls, ceiling, cabinet, new LED light and the actual water closet door and broom closet.